Growing up in my family, a salad was something you had with your dinner � not what you had for dinner. I have grown fond of the idea of being able to put anything that suits my fancy on a bed of lettuce, serve it with a roll and call it the meal. I am particularly fond of enjoying a variety of salads in the summer season when fresh greens, fruits and vegetables are in season. When the weather is warm, I gravitate towards eating my meal in a salad. 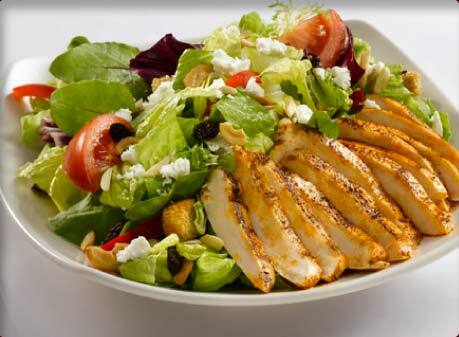 Fruits, cheeses, nuts, seeds and salad dressings can greatly enhance the flavor of your salad. 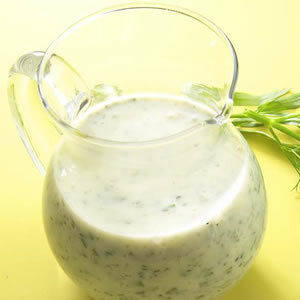 Unlike the salad, salad dressings are not as interchangeable and can change the whole essence of the salad. They can also greatly increase the caloric value. So to stay light, try using lighter dressings that are light but high in flavor. A beautiful salad with light dressing, a piece of grilled chicken, steak or fish, a roll, and a tall glass of lemonade is what I call the perfect summer meal. Combine flour, sugar and salt in a small saucepan. Whisk in milk until the mixture is smooth. Add remaining ingredients. Cook and stir over medium-high heat until the mixture comes to a boil and thickens. Remove from heat. Let cool slightly if serving warm. Otherwise, store in a jar in the refrigerator until ready to serve.